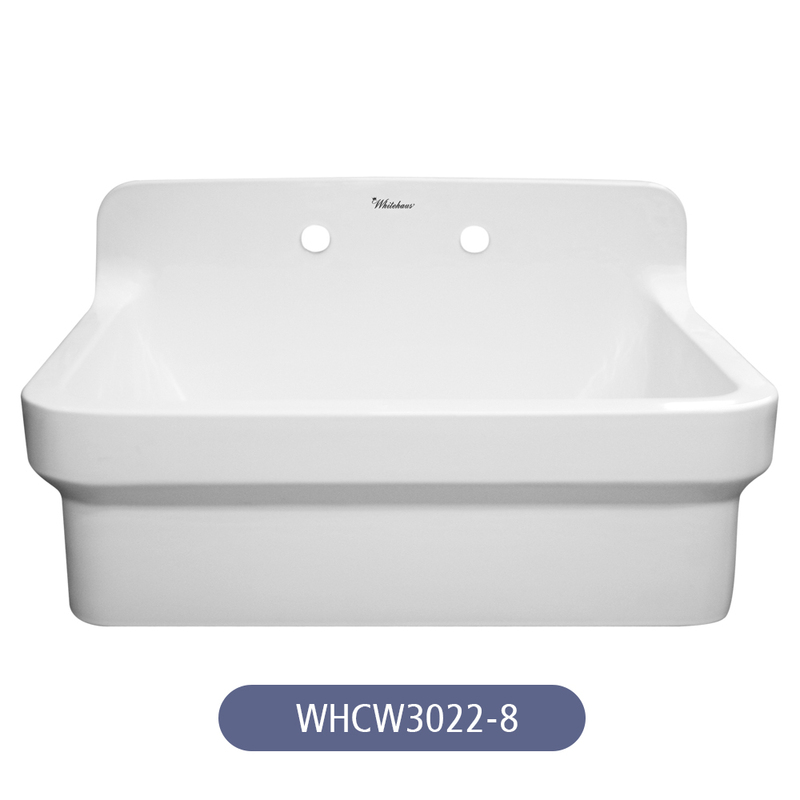 Whitehaus Collection®’s Old Fashioned Country fireclay utility sink is handmade from natural clay, molded, and then baked into an elegant, smooth and glossy finish. 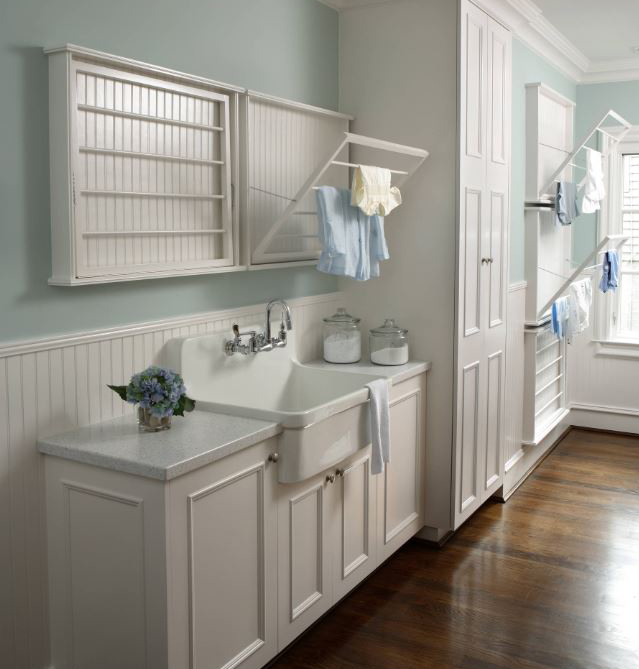 The OFCH2230 fireclay sink has a high backsplash and 8” pre-drilled holes for a wall mount faucet. Measuring at an impressive 30” x 22”, it’s an ideal size for the bigger messes life throws your way. 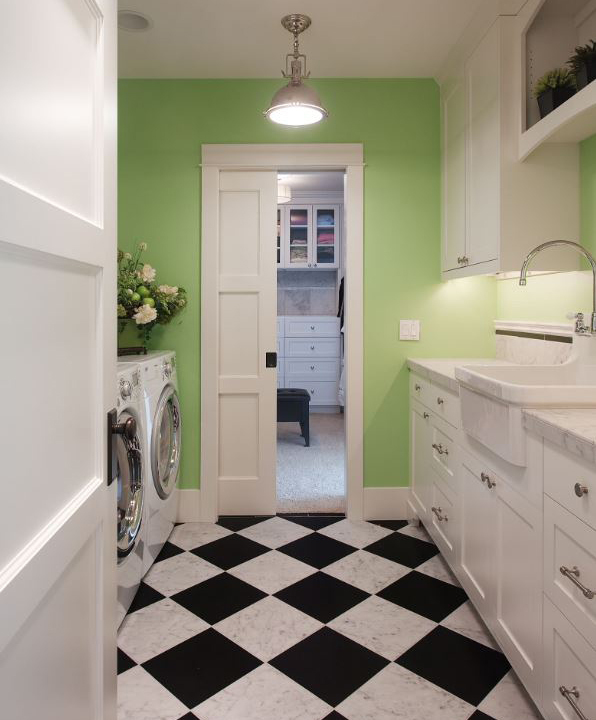 Visually appealing and timeless in design, this solid fireclay utility sink comes in White, Biscuit, Black or Sapphire Blue, making it the perfect and stylish alternative to the typical sinks found in a laundry room. 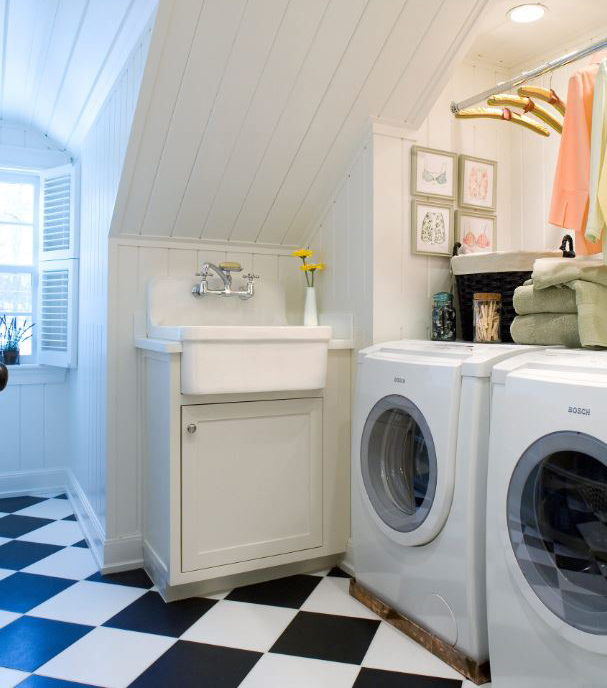 This heavy-duty wall mount utility/laundry faucet with lever handles is a reliable and powerful product for your home or any work space. 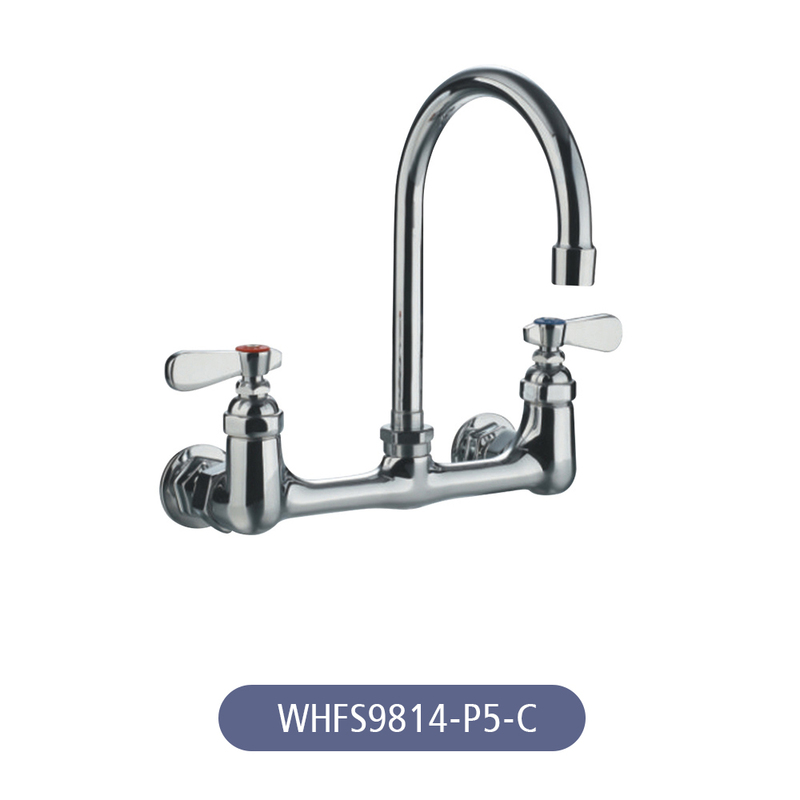 The WHFS813 faucet has a 18” double jointed retractable swing spout to allow for further reach when filling up a bucket or cleaning up a mess. Available in Polished Chrome. 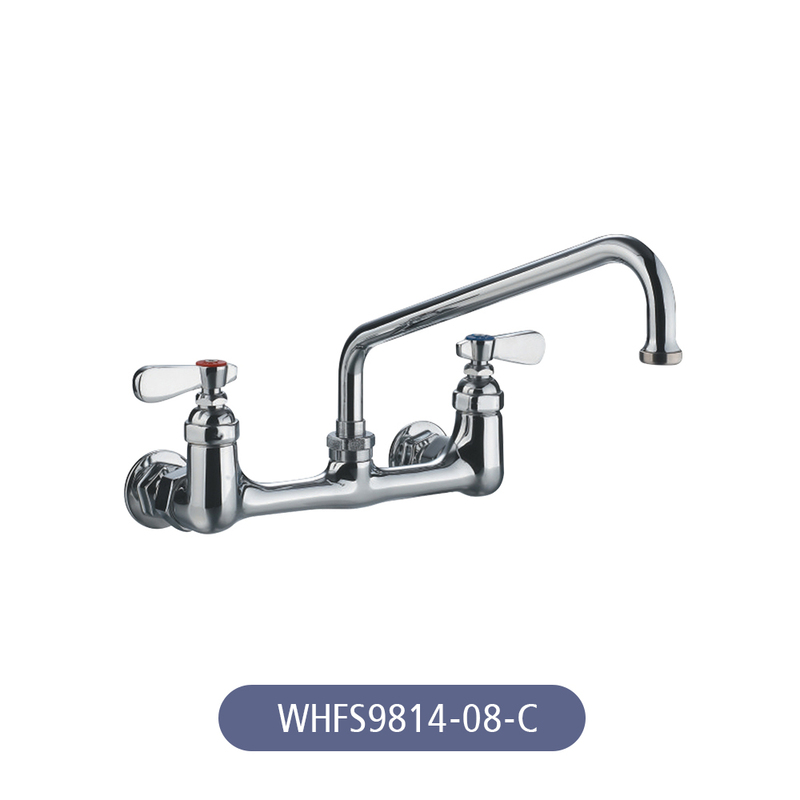 The WHFS9814-08-C is a wall mount utility/laundry faucet with lever handles. It has an extended swivel spout with an 8″ reach. Available in Polished Chrome. 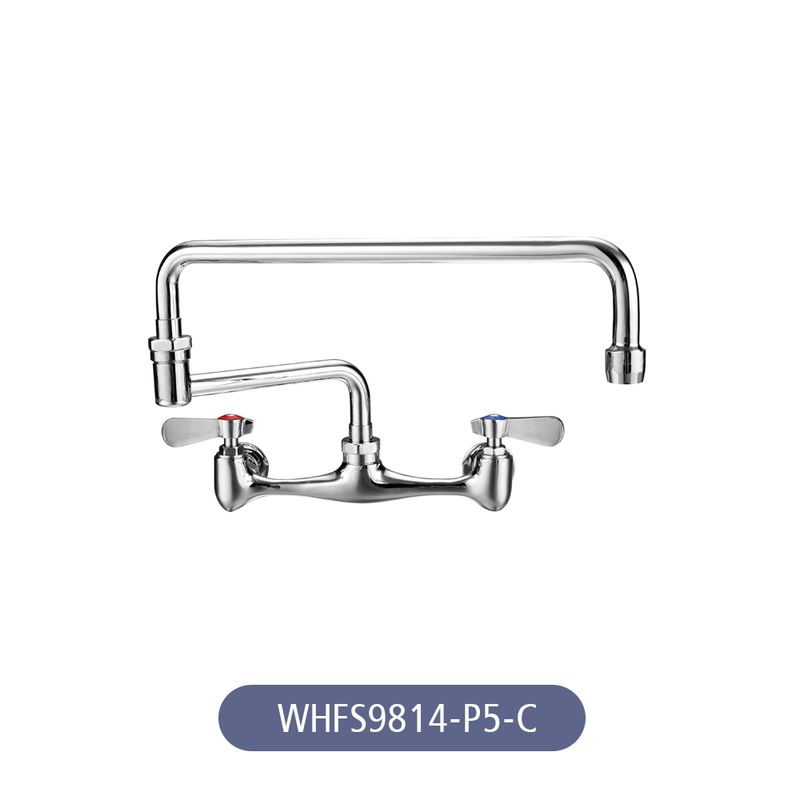 The WHFS9814-P5-C is a wall mount utility/laundry faucet with gooseneck swivel spout and lever handles makes it a reliable and powerful product for your home or any work space. 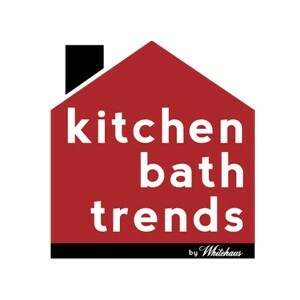 The faucet is available in Polished Chrome and is strong enough to withstand even the toughest utility environment.